A guide to open access; understanding what it is, why it's important, and what you can do. Open Access Week - "Open in Action"
Make a list of open access journals in my discipline I would consider publishing in. Send at least one manuscript to an open access journal within the next year. Deposit at least one of my articles into an open access repository. Contribute to a conversation on campus about institutional support for open access (ASU's Open Access Policy Task Force). Get an ORCID and sign up for Impact Story. (View more actions and resources). The “Open in Action” theme also highlights the researchers, librarians, students, and others who have made a commitment to working in the open and how that decision has benefited them—from researchers just starting their careers to those at the top of their field. Established by SPARC and partners in the student community in 2008, International Open Access Week is a global, community-driven week of action to open up access to research. The event is celebrated by individuals, institutions, and organizations across the world. ASU Library has been participating in Open Access Week since 2009!. In anticipation of Open Access Week, Peter Suber, Director of the Harvard Office for Scholarly Communication, will discuss the state of Open Access and answer your questions on the advancement of Open Access and the future of the movement in this live webcast. Join us to watch a live-stream of the webcast and to engage in discussion. An archive of the webcast may be viewed online. Crowd-sourced notes from the event are available. An edited transcript of the webcast. As part of Open Access Week 2016, please join us for refreshments and a panel discussion about knowledge mobilization, open access, and how they can complement each other and advance the mission of the New American University. Funders want their research dollars to have results and are increasingly requiring researchers to demonstrate the value and impact of their work. In this environment, merely publishing articles is not sufficient. Knowledge mobilization is a strategy where the goal is not only to distribute knowledge, but to share it in such a way that it is easily accessible, useful, and used. Can Open Access be a part of a knowledge mobilization strategy? Do Knowledge Mobilization and Open Access change the way we prepare future scholars? This week, Oct. 24-28, Arizona State University is celebrating Open Access Week, an international event to raise awareness and advance open access, in an effort to reduce barriers that limit the sharing and repurposing of research data and scientific information. Open access means providing unrestricted access and re-use to scholarly research, and has the potential to transform the traditional publishing model and how people connect with information. 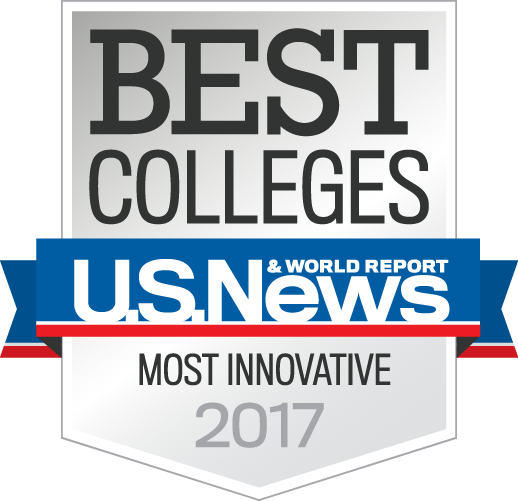 As an open access advocate, ASU is part of an international collection of universities and organizations committed to promoting open access. 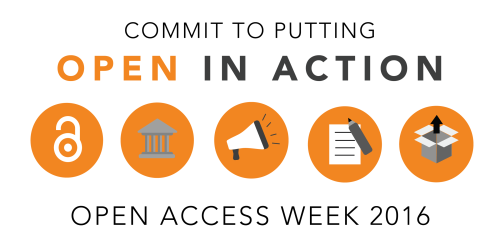 The theme of Open Access Week this year is "Open in Action" to encourage individuals and institutions to take concrete steps in putting open access into action. Please use the checklist to learn more about Open Access Week and how you can get involved in helping to put open access into action. Open Access Week started early this year at ASU with a viewing of an OpenCon webcast, hosted by ASU Library, featuring Peter Suber, the director of Harvard's Office for Scholarly Communication. An archive of the webcast, discussing the current and future state of open access, is available online. To learn about the open access policy in development at ASU, read the ASU Now article. Follow @ASULibraries on Twitter all week to learn more about open access and ASU's involvement. Join ASU Library for a panel discussion about knowledge mobilization and open access and how they can complement one another to ultimately advance the mission of the New American University. The event is set to take place Tuesday, Oct. 25, from 1-3 p.m., in Hayden Library, room 133. If you are unable to attend the event, you can follow @ASULibraries on Twitter for live tweets. Commit to putting Open in Action. Learn how to take concrete steps to open your research and scholarship, such as depositing your work into the ASU Digital Repository. Read the Open Data Transition Report. See how the next presidential administration can prioritize open government data. Discover your OA Score. Impactstory will tell you how accessible and impactful your work is online. Watch the OpenCon webcast. Learn more about the current and future state of open access. Read the White House report from the Cancer Moonshot Task Force. The report outlines how open data is supporting national efforts to prevent, diagnose and treat cancer. Explore the new library guide on open access. Learn about the open access policy currently being drafted right here at ASU. Put your work into the ASU Digital Repository to improve access and discoverability. Thank you to all who participated in Open Access Week 2016 and helped to make it a success.